i was working in a group along with berenice and sophie. 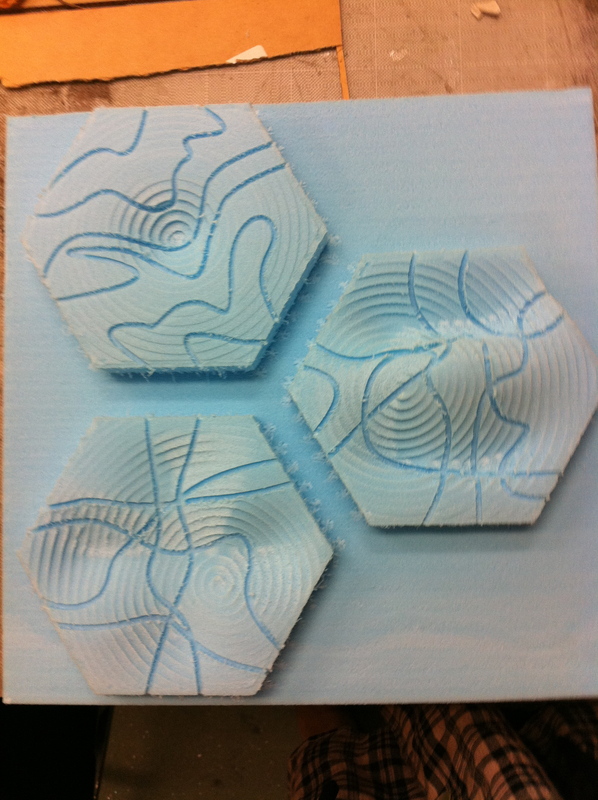 they both have previously posted up some of our progress with this project on the blog so i may just recap that we designed these hexagonal tiles in rhino and each came up with a different set of waves and projection lines for each of our tiles. 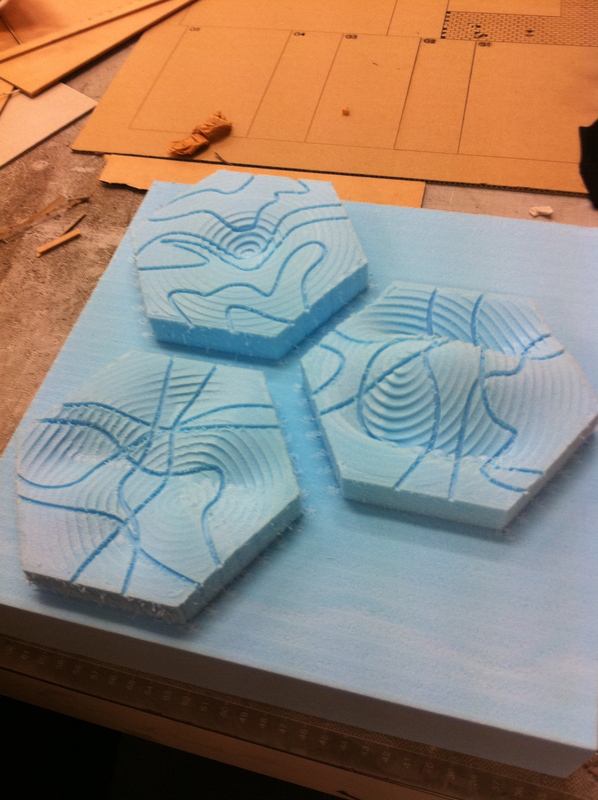 here we have the finished foam tile, which we simulated with the help of loren.